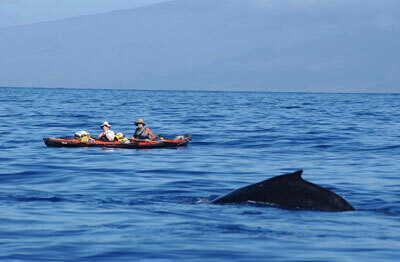 January 2012: For nearly 2 decades I offered a unique private kayak experience in viewing North Pacific Humpback whales in a respectful and peaceful manner during their annual migration to the Hawaiian Archipelago. After a 2 ½ month migration from the nutrient rich waters of Alaska North Pacific Humpback whales arrive in the Hawaiian Archipelago to mate and reproduce, a time when nature should be given respect as to the need for quiet and privacy. 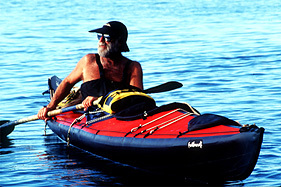 However observations from my Eskimo kayak since the early 1970’s have now shown that the once numerous everyday close to shore sightings of North Pacific Humpback whales is a thing of the past. As the human species grows in numbers, there is less nature. That is a fact. I have unfortunately decided to terminate this unique experience. 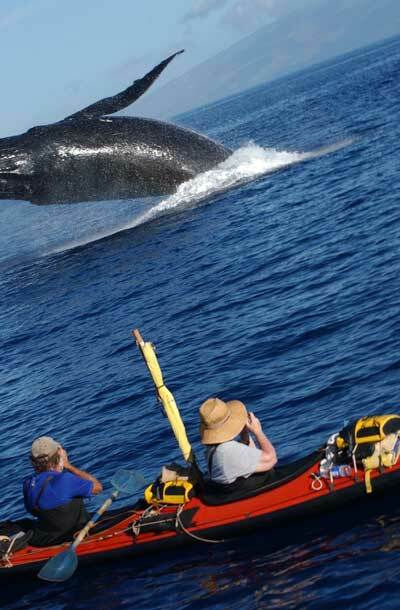 For those individuals that participated in this unique experience over the past several decades in viewing whales in a peaceful manner you have been blessed with a memory that will last through your lives. A sincere Mahalo to the dozens of cards I receive each holiday season in reference to your experience.